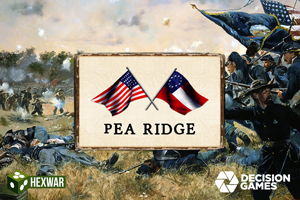 Civil War: Pea Ridge is based on the board game of the same name and is part of the ‘Great Battles of the American Civil War’ series of games, recreating the significant battles of the American Civil War. The battle of Pea Ridge took place on 7th March, 1862. Over two days, the Confederate forces of Major General Earl Van Dorn were defeated by the Union forces under General Samuel R. Curtis. It was the decisive battle of the trans-Mississippi region, the Union victory assuring Missouri would stay in the Union and that the Union army would dominate the area in the years to come. Nuts! 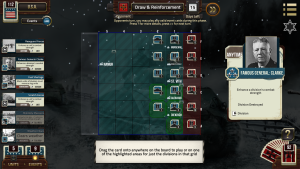 : The Battle of the Bulge is a Decision Games card game that recreates the famous World War Two battle (16-31 Dec 1944) in which the German Army mounted a surprise attack on the thin U.S. forces deployed in the Ardennes region hoping to breakthrough to the English Channel and split the allied forces.